Innovative designs, uncompromising performance. That's Rehau Quality. Founded in 1948 in Rehau, Germany, Rehau is a premium worldwide brand for polymer-based innovations and systems in construction, automotive and industry. The performance capability of Rehau is unmatched with regard to its breadth and quality. Many of their polymer-based products are world leaders. 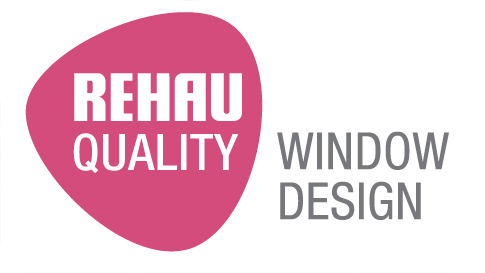 All Rehau window and door designs undergo rigorous testing to meet or exceed structural and thermal standards. With nearly 70 years of expertise in product research and development, you can always trust Rehau for the most innovative technology and designs. Heating and cooling is the largest expense for most buildings. 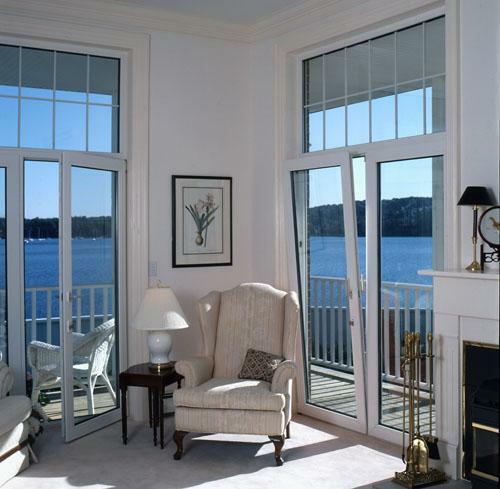 Vinyl windows keep heated and cooled air inside your home. Tests using the common measure of insulating ability, the U-Factor, have shown that vinyl windows regularly outperform other products because of the frame's excellent thermal performance. Your heating and air conditioning units don't have to work as hard to maintan the desired temperature, so you conserve energy - and save money. Vinyl windows and doors are impervious to rot, corrosion, blistering and flaking, as well as infestation by insects. Vinyl resists mold and mildew, and scratching a vinyl window will not require any touch-up. Even better, a heavy rain or simply a quick wash with water and mild soap will keep vinyl windows and doors clean. If you're in the process of building something new or remodeling, investing in our window and door designs will reap many lasting rewards right away and over the long term. Your family will be comfortable while enjoying lower heating and cooling costs. You will have peace of mind that you chose windows and doors that are backed by almost 70 years of expertise in product research and development. And we've heard from our customers they appreciate the new "silence" brought to their home!